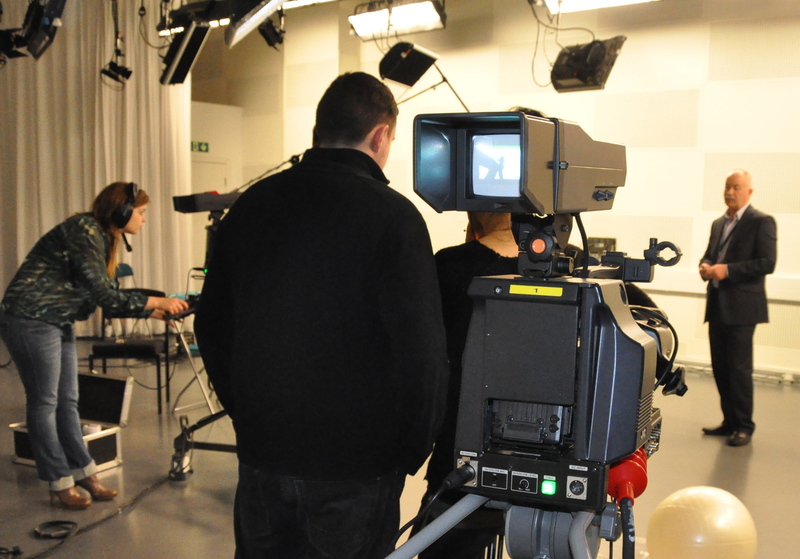 Last week was the first recording run through of the TV Studios at the University Of The West Of Scotland‘s new 80 million pound campus in Ayr. Camera Acting students from the Contemporary Screen Acting Programme were recording the first ever series of screen dialogues at the new campus. Students re-enact duologue scenes from movies such “Juno”, “Bridesmaids” and “Let The Right One In” in order to gain experience of working in a multi-camera studio set up. The above photo shows 4th year honours student Alana Murray working on the production of her multi-media Creative Project with her cast. Along with the finest radio and music studios in Scotland, UWS Ayr now boasts two state of the art HD studios with Green Screen Technology, Autocue, and top of the range sound and editing facilities. There is space for large scale productions such as dramas, orchestral performances and musical theatre, as well as room for up to 30 students to view the process from the gallery. Zoe Silver said ” I feel like a real professional. The first job I had to do was to be a camera operator in headphone contact with the control room and it went really well”. Jess Munro commented “I’ve never acted in a studio before, but within minutes I had forgotten about the cameras and lights and was able to concentrate on my performance”. As we roll out the use of the studio for the fourth year honours students and post graduates, the amazing potential of this resource is going to be unleashed. 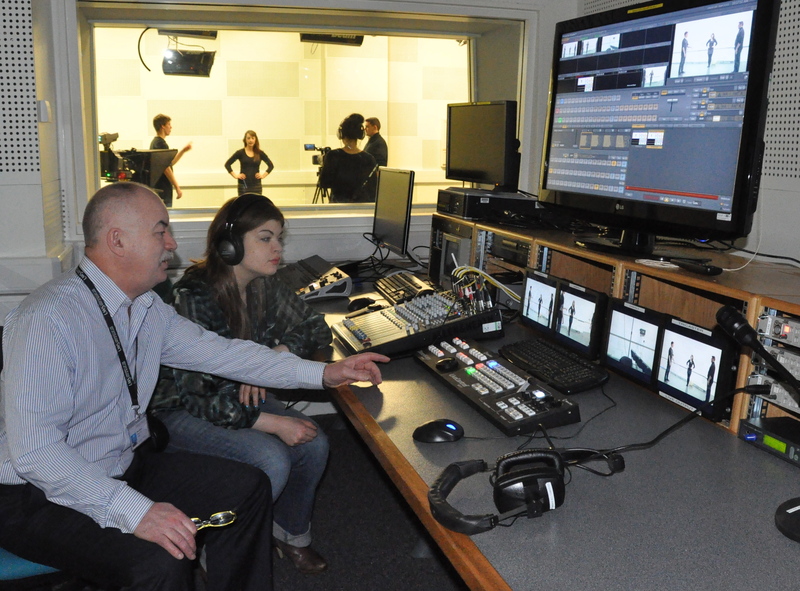 Students will be able to create , record and distribute HD broadcast quality programmes , be they filmed dramas, documentaries or light entertainment shows. It’s a genuinely exciting time for all involved.The first slate of programmes recording in the next few weeks include a Gaelic Children’s show, a modern digitised re-enactment of Tam O’Shanter, an experimental multi-media theatre piece and a Scottish take on the “Creep Show ” horror format.